Sure, everyone’s worried about Cayde. But what Destiny 2 players have really been worried about lately is that, come September’s Forsaken expansion, we’re going to have to say goodbye to all our hard-earned gear. Fortunately, today the expansion’s director told PC Gamer that won’t be the case. In Destiny 2, you spend a lot of time chasing and accumulating ever-rarer guns and armor. The loot is a big part of what keeps people playing. Back in 2015, the first Destiny got a much needed overhaul with The Taken King expansion. It came at a cost, though—all of the legendary-tier guns and armor players had earned in the first year was “left behind” for year two. Goodbye, Fatebringer. See you later, Vision of Confluence. 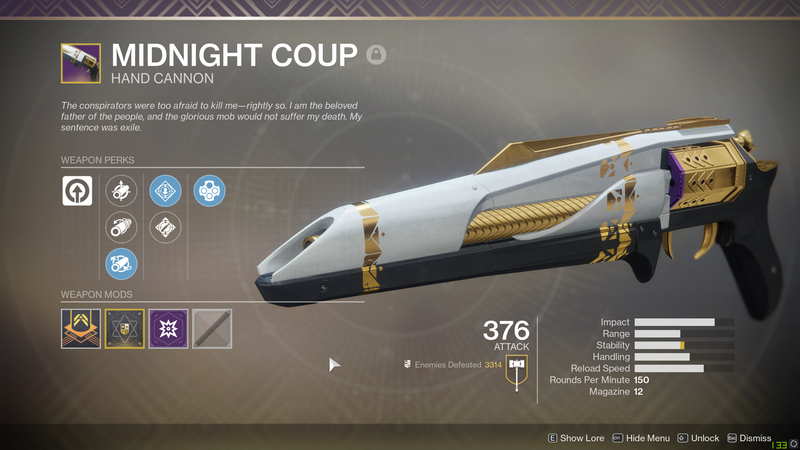 It was understandable that Destiny 2 players might fear the same thing would happen this time around, particularly as many of us are only now beginning to grind for top-tier legendary weapons like the ones you can get from completing the Warmind expansion’s difficult Escalation Protocol events. When Forsaken launches in September, will all that stuff become obsolete? Will we have to start all over? “You’ll be able to bring your Year One stuff forward with you, if you own Forsaken you’ll be able to bring it up to the same [level],” Forsaken director Steve Cotton told PC Gamer in an interview today at E3 in Los Angeles. There’s perhaps still a slightly niggling lack of specifics there, but in general that all sounds pretty solid. I’ve still never even gotten past the second round of Escalation Protocol, but I do kinda want a couple of those EP guns. Good to know that chasing them won’t be for naught.